Hi, I just wanted to try step by step your new tutorial of creating hedges. I have FP Pro and just installed RailClone Lite 2.7.4. While opening your fp_hedge_tutorial.max the program crashes and the autobackup file is useless aswell. I opened this file successfully before installing the railclone-lite, but after uninstalling RC-Lite, the problem remains the same. 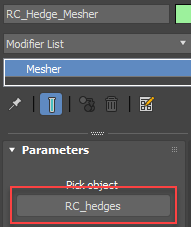 When I try to merge the whole scene, a message appears, complaining there was a RC-Object which is newer than the installed version and after ignoring this message, it crashes again. Any idea how to fix this problem or did you create this "newer" RC-Object with RC3.0 beta and it is incompatilbe? I'm having the same problem. 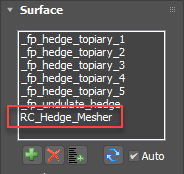 I can not open the hedge tutorial scene. I've tried opening with Max 2014, 2016 and 2017 on two different pc's. Max crashes before the scene can open. I have Forest Pack Pro & Railclone lite installed. Edit: After reading the above post, I opened a new file and merged the fp_hedge scene into new drawing but deselected all Railclone objects and it worked. I have the scene open with all Forest Pack objects. I guess it is the Railclone objects that are causing the crash. Any ideas on how to fix the Railclone problem? Thanks for reporting this. There was a small issue with some of the brick RailClone objects that were created in RailClone 3 and causing an issue when opened with older RailClone Lite versions. Pro versions of older RailClone installs aren't affected. I've updated the downloads for this tutorial which now includes a file named fp_hedge_tutorial_RailClone_lite.max that will work with the lite edition.